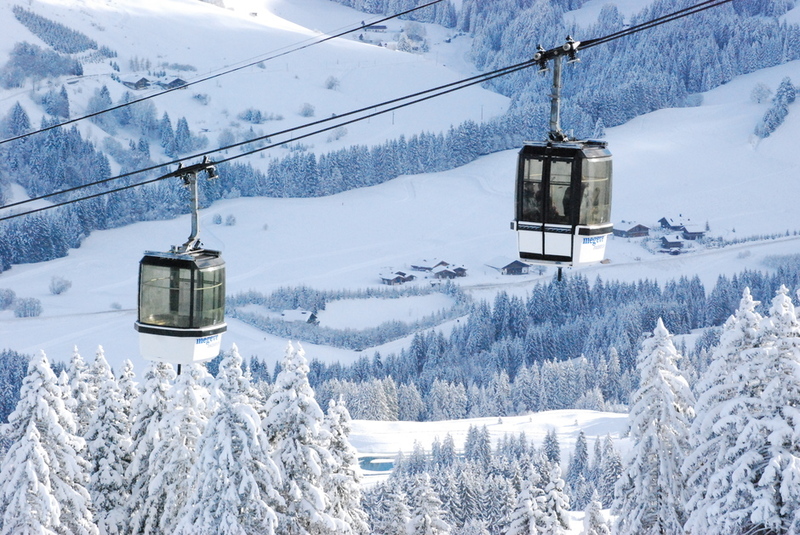 Megeve is one of the most stylish resorts in the alps, with a very pretty ski area. 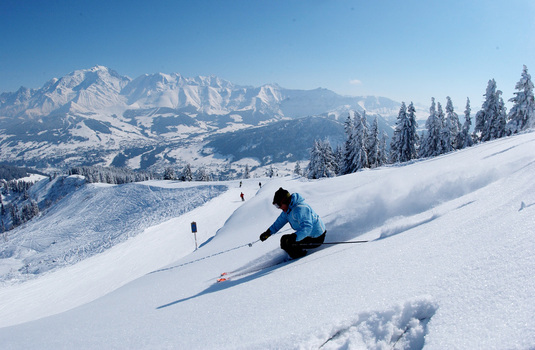 The history of Megeve goes back to Medieval times, though its beginnings as a ski resort goes back to the 1920s. The story goes that in 1916 Baroness Maurice de Rothschild became disenchanted with St Moritz and its German visitors and so decided to create an equivalent resort in France and the resort’s first luxury hotel (the Mont d’Arbois) was opened by her in 1921. Megeve has three ski areas of its own and although the maximum vertical drop is not much more than 1,000 metres, the wider region can boast an impressive 300km of pistes in total. 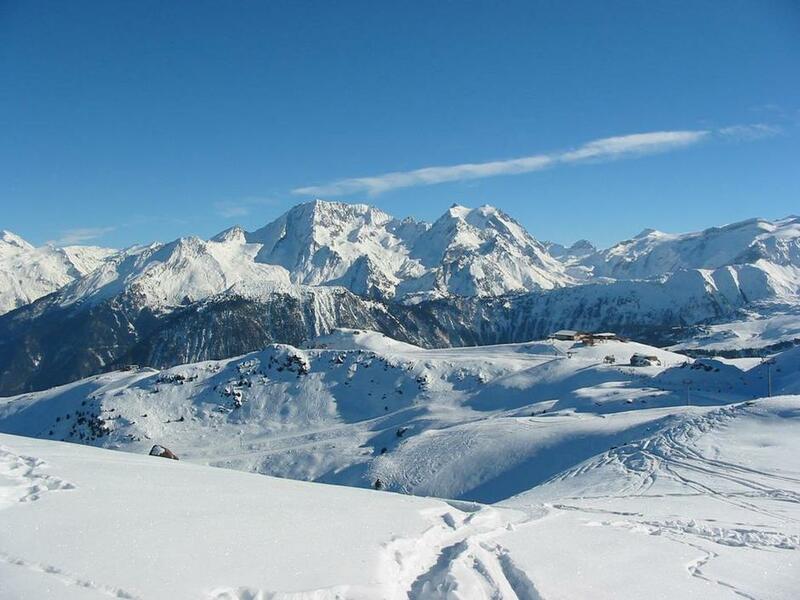 The vast amount of terrain means there is a variety of slopes including cruisy blues and reds and lots of tree-lined, lower slopes with excellent chalet-style mountain restaurants alongside. Just over an hour’s drive from Geneva airport, Megeve village is both pretty and chic, with a pedestrian zone around the fine medieval church. Smart boutiques, alluring bars and restaurants are abundant. 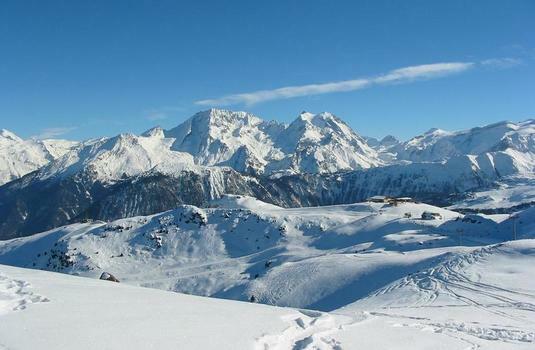 There is also a good choice of well-appointed hotels, some of which are close to the slopes, however many are not, so if you don’t stay in a place by the lifts having a car can be advantageous here or there is a fairly frequent shuttle bus. Many of the winter visitors coming here have no intention of skiing – they just enjoy being in these pretty mountains and appreciate the luxurious hotels, the walking, shopping, eating and drinking. While the après is quieter than some other French resorts, it now has a Folie Douce so there is an increasingly lively piste atmosphere. Megeve does good business in summer as well as winter and for this reason it has the reassuring ambience of a year-round small mountain town, as opposed to a seasonal resort.